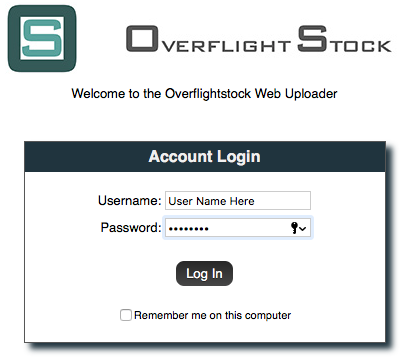 Welcome to Overflightstock. Contributors are assigned a USER NAME and PASSWORD to gain access to the FTP Server and Web Uploader. If you have forgotten, lost or haven't been issued these credentials please contact us. Both the FTP and WEB UPLOADER use the same USER NAME and PASSWORD and upload to the same folder. FTP is the preferred method for uploading content. 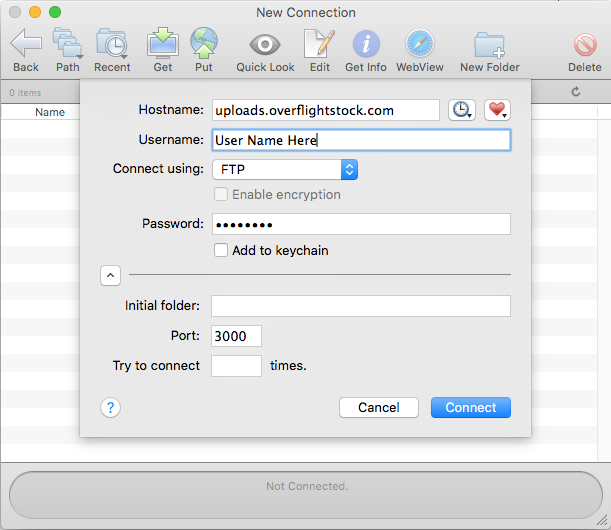 Download a copy of a FTP client such as Fetch or FileZilla. They are drag and drop and you can view and manipulate folder structures quite easily. PASSWORD: The password as provided to you. Example of a Fetch sign in window. The Web Uploader is a web based file transfer system. Large submissions are often best sent in by hard drive. Contact us for shipping instructions. Many of you still use the legacy Drop Box uploader and it will stay active. Submission via Mega, WeTransfer, etc. are also welcome. Web wide indexing, the process where buyers are able to find content with a few relevant keywords, is an essential part of our process. Each image or clip becomes it's own separate web page and is indexed by all search engines. For web based searches, the caption title becomes the most important source of keywords. 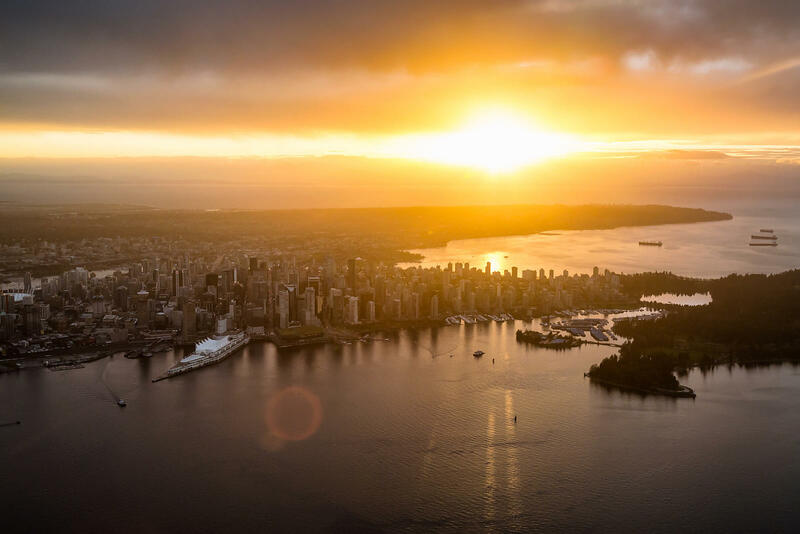 The minimum amount of information required is place names and what the viewer sees in the content. Any iconic or important feature should be included. If the submission is very small OR only contains one subject, you can simply email the information to us. If the submission is larger or contains multiple scenes, a spreadsheet or CSV file is required. Should you have further questions, please don't hesitate to contact us.